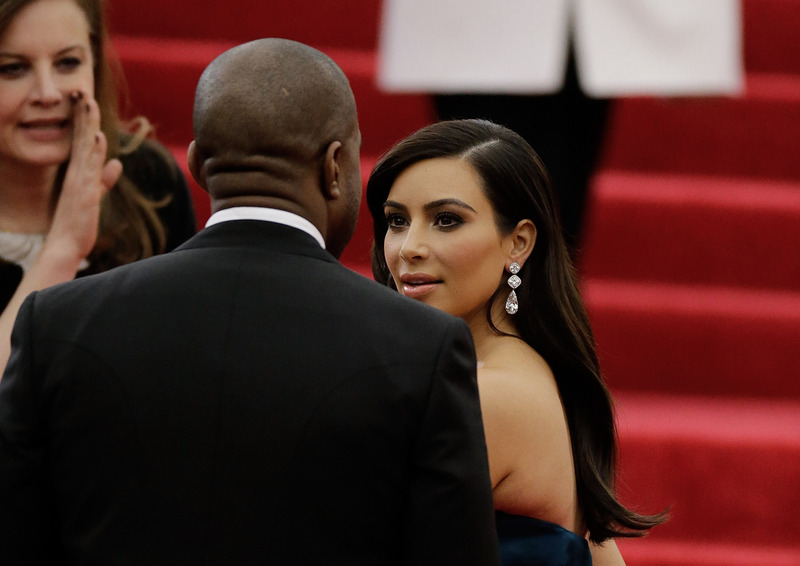 Kim Kardashian and Kanye West are turning out to be international masters of mystery. After months of making us all believe that they were going to find a way to get married in Paris, France come hell or high water, the news broke that Kim and Kanye are getting married in Italy. Which comes totally out of left field. Actually, that wasn't even on the field. Everything we thought we knew was a lie. According to Italian newspaper La Nazione, Kim Kardashian and Kanye West actually conceived North while they were there, which is a great article for Kimye to clip and save for when North starts asking those awkward where did I come from questions. "I think that our daughter North was conceived here among the Renaissance masterpieces," said Kanye in the interview, which raises a few interesting questions. Every other word quoted out of his mouth was basically gushing praise for Florence and the country of Italy in general, to the point where Kanye even mentioned that he is working on a whole album tentatively titled Made in Florence. How we managed to overlook Kanye's italophilia before now is beyond me, but between setting his wedding there, studying fashion there, and making music there it's a wonder that North wasn't named after the country as well. In fact, anyone who is still complaining that Kimye named their first daughter North West should probably be glad that North wasn't given any of these Renaissance- or Italian-inspired names. Clearly the only reason that North escaped being named after the city of her conception is because it would have made her a walking spoiler alert as to where her parents' wedding was going to be held. Raphael isn't just the name of a Renaissance painter and a Ninja Turtle; it's also the name of an archangel. If you tell me that Kimye wouldn't name their child after an angel, then you've clearly never read about them. Kanye studied with a fashion designer named Ermanno Scervino while he was in Florence and North could have easily be named in honor of that man. After all, North probably didn't sound like a unisex name before now either. It might be a bit much to name their daughter after Michelangelo or just after the Sistine Chapel that he painted, but the Italian name for the church, Cappella Sistina, sounds almost poetic. And imagine all the funny headline puns we could have made when Sistina became a sister. The House of Medici was a political dynasty and eventual royal house in the Republic of Florence. They were probably the 14th Century version of the Kardashians, really, except in a world where reality television wasn't around to make people famous. Well, at least now they have ideas for what to name their second child.